Had to post a few pictures of the new fence. After 8 bids from as many contractors, the 9th contractor agreed to do everyting that we wanted…..
and, we couldn’t be more excited about the results so far. Here’s Jack putting the finishing touches on…. Omg! 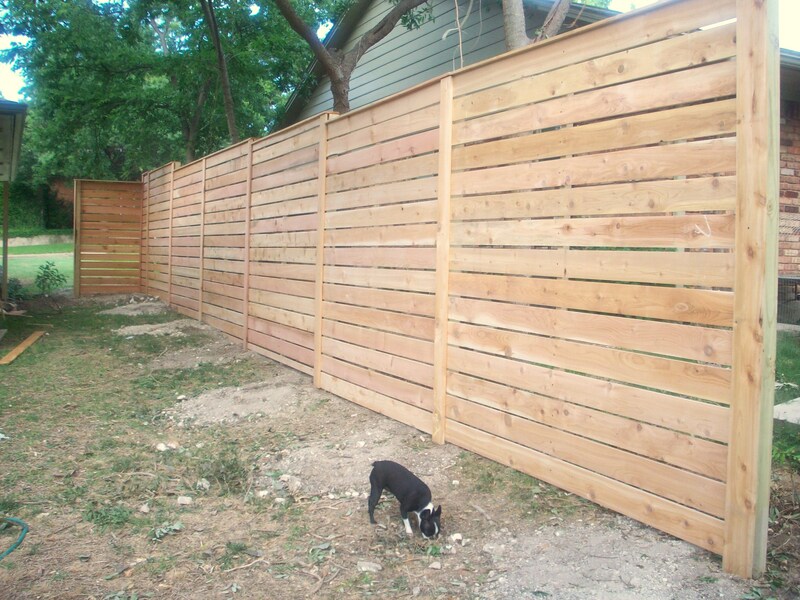 We were thinking of doing our fence this same way! I love it. I hope we can see your place soon! 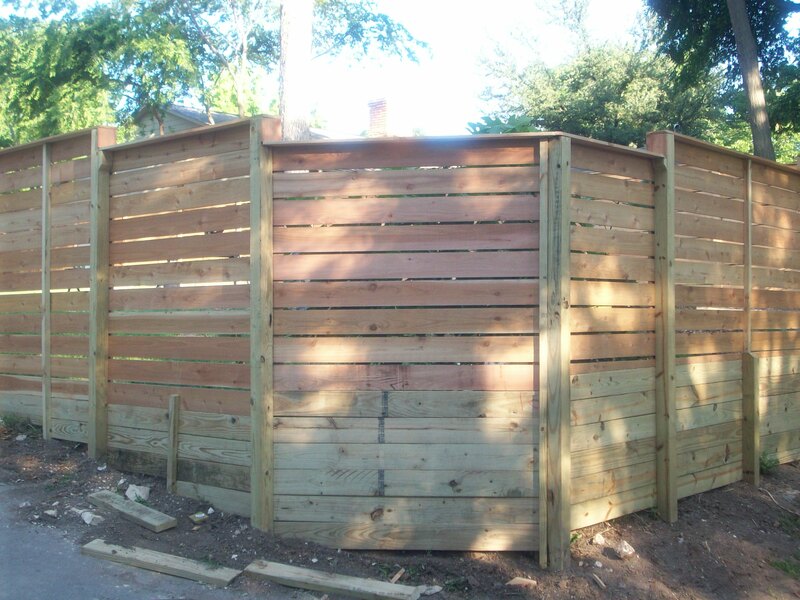 We really love your fence and have followed your blog for a few months now. We are about to purchase a home and would like to do something like this. May we ask how many feet you had done and what was the approximate cost? Thanks! We LOVE it!!! first major project we did. 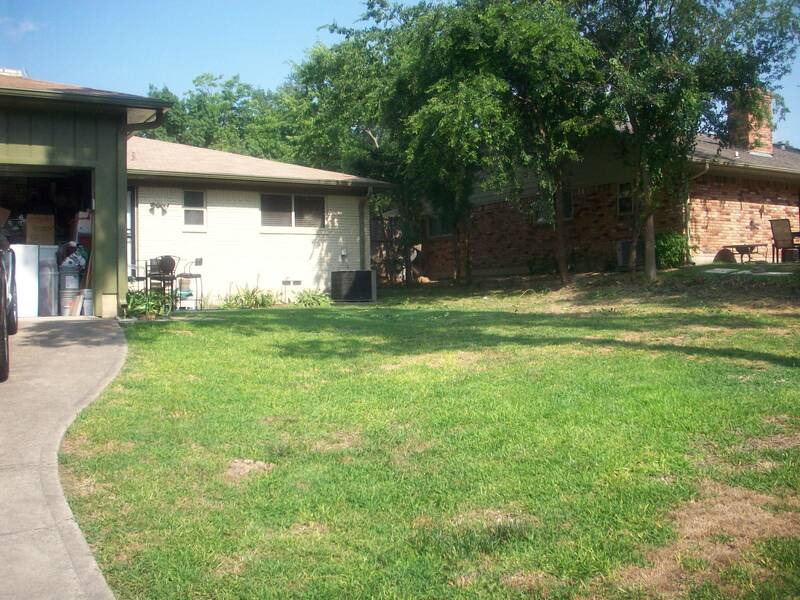 We wil be building a small section ourselves to hide the air conditioner this spring. 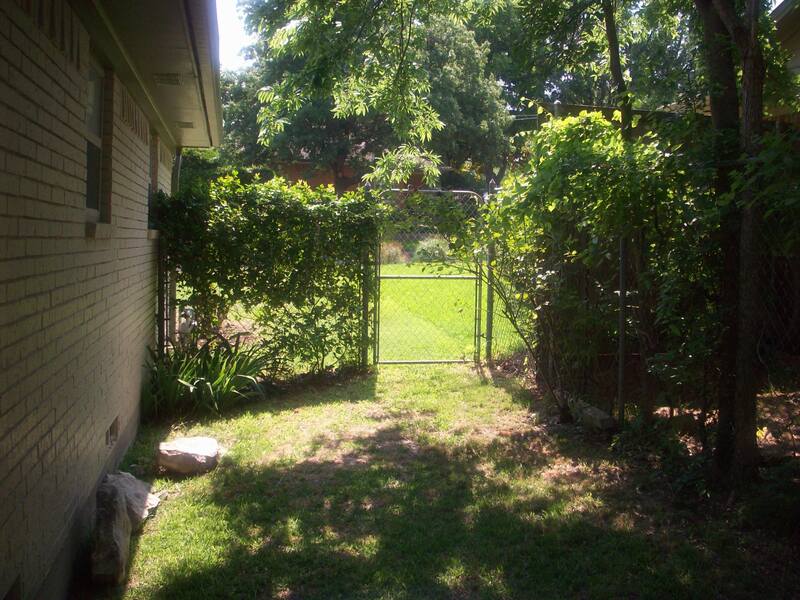 Hey your fence looks awesome! 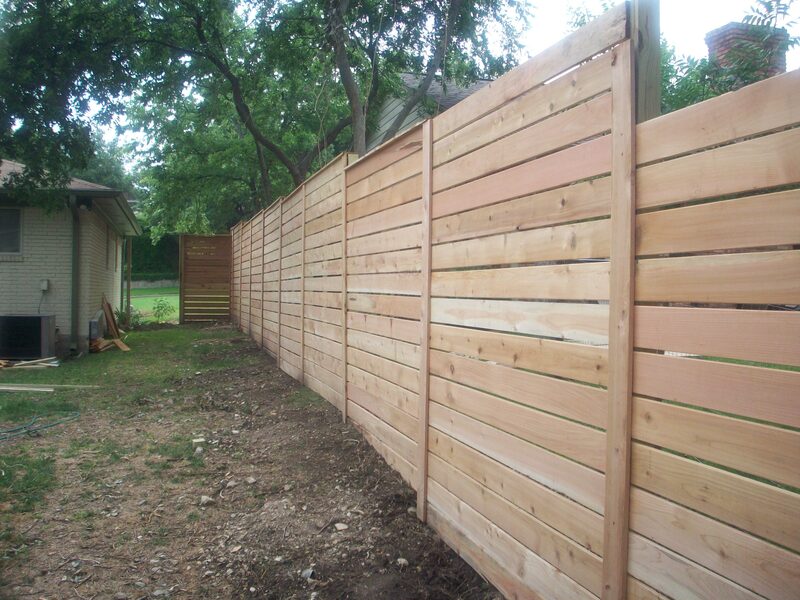 I am thinking of doing the same style at my house and I was just wondering how wide your fence slats are and the size of the gap between them. Thanks and nice work! Hi Zach, we used 6 inch wide boards with about a 1/2 inch gap between. We couldn’t be happier with it. I assume the 4×4 posts are cemented into the ground. How about the smaller posts in between the 4×4 that look like 2x4s, are those also cemented into the ground? Hi Milad. Yepp the posts are well planted, but the 2X4 are just resting on the ground. 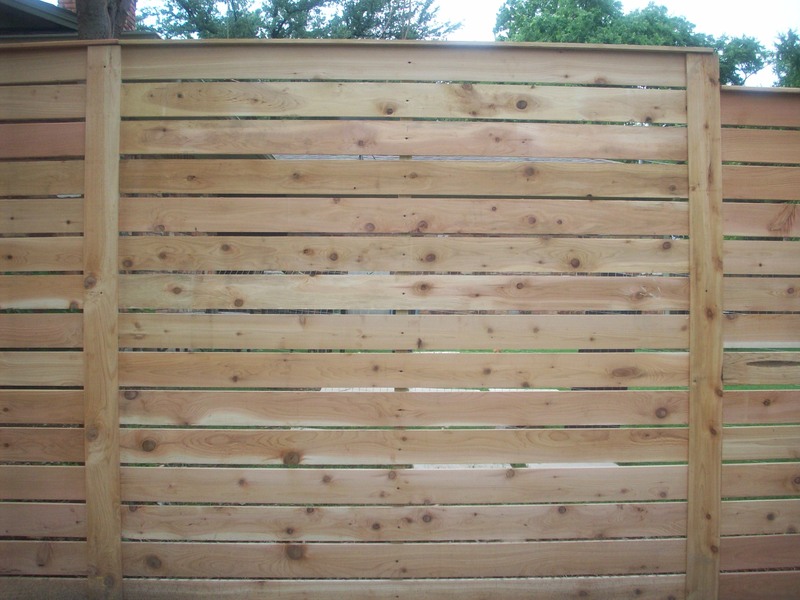 Your fence looks spectacular! 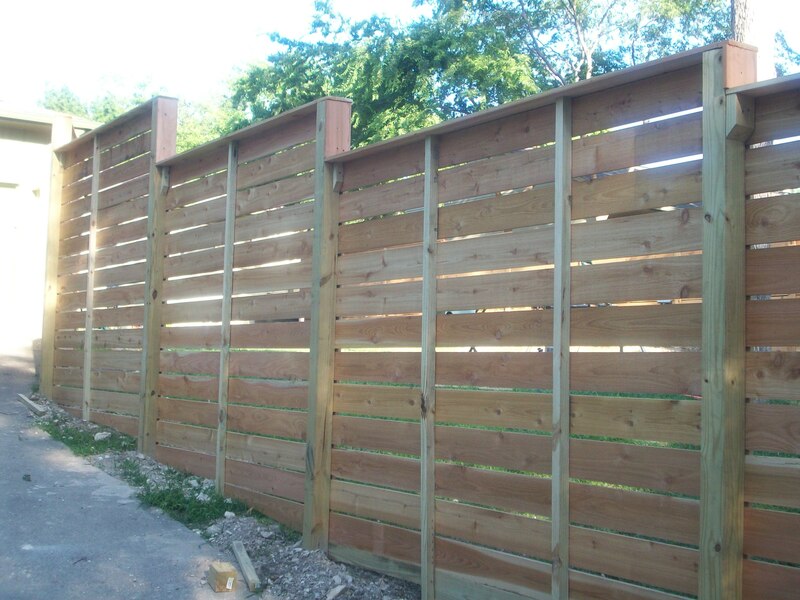 I’ve been researching horizontal fences and have some questions, if you’d be so kind. 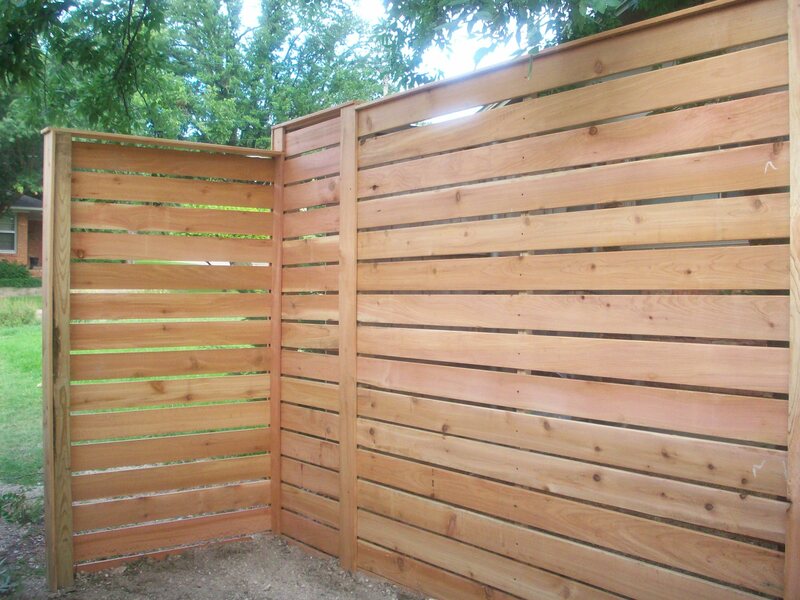 Are the horizontal pieces cedar and the vertical pieces regular fencing wood? 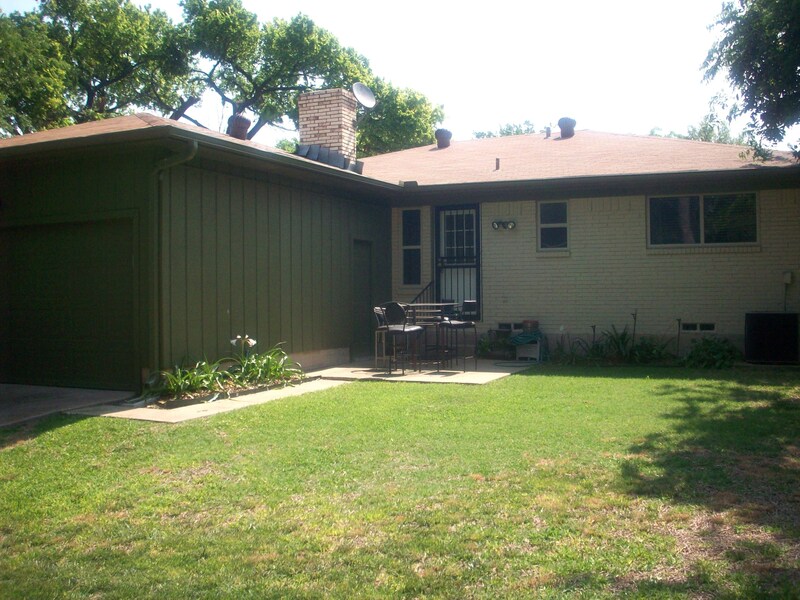 Did your contractor create his own plan or are those premade parts? Also what state do you live in? I’m in PA and the small amount of looking I’ve done seems to indicate that getting cedar is difficult. Thanks so much for your time! 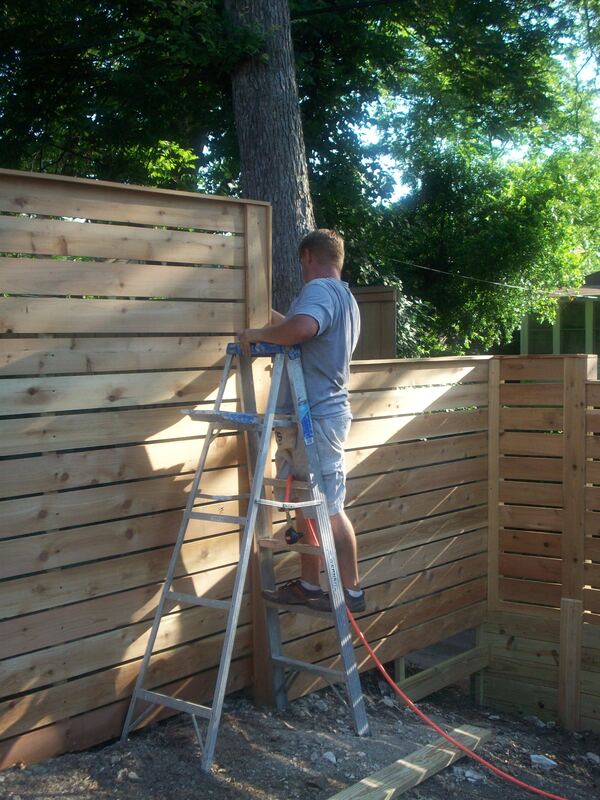 Hi Sara, Our contractor created this fence all on his own…from a picture I showed him. 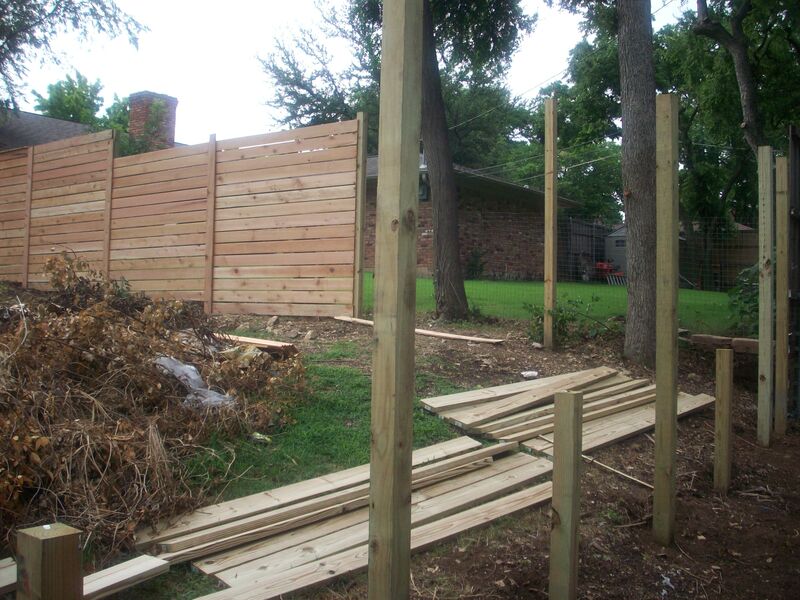 We met with 10 contractors and none of them wanted to build a horizontal fence. It takes a while longer than a traditional one. 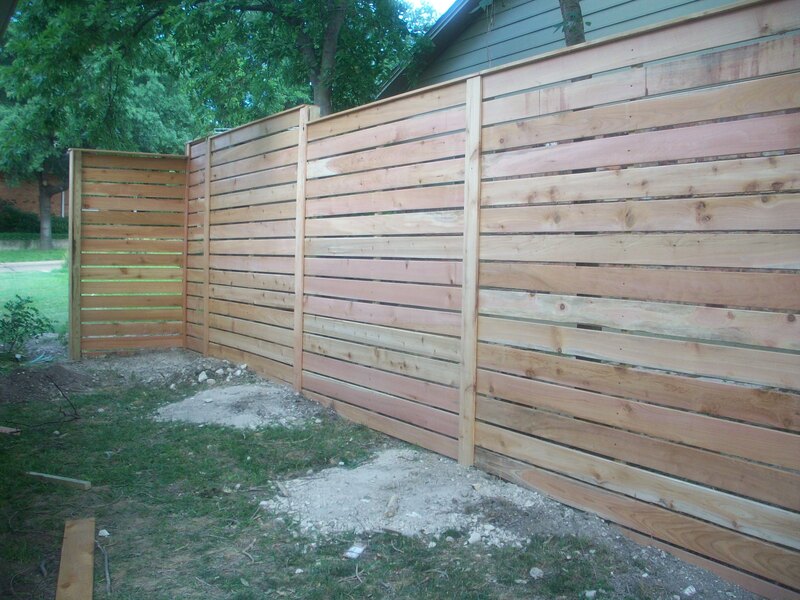 The Horizontal slats are cedar, but yes, the posts are just regular fencing wood posts. We live in Texas. Cedar is not a “long term” wood..it’s soft, bends as it dries and turns grey…We’d probably use a different wood if we did it again…Hope this helps. Hey James….excellent work. In the above post you mentioned you’d use another would other than cedar. Which wood would you use if you did it all over again? Hi Anthony, I’m not sure. Pressure treated lumber of some sort. 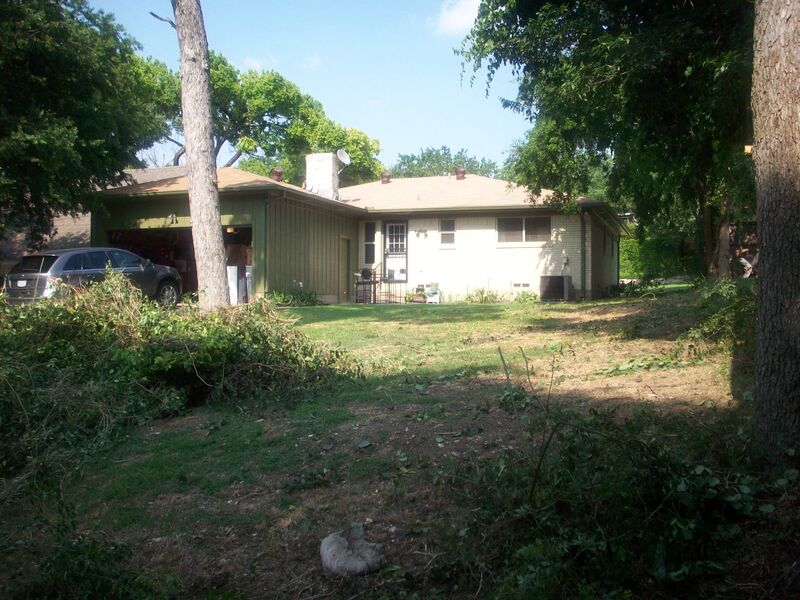 The cedar was so beautiful in the beginning…..but then it dried, the stain chipped off, and it bleached in the sun.